How to watch The Blacklist: Season 5 (2018) on Netflix United Kingdom! Sorry, The Blacklist: Season 5 is not available on British Netflix, but you can unlock it right now in the United Kingdom and start watching! With a few simple steps you can change your Netflix region to a country like South Africa and start watching South African Netflix, which includes The Blacklist: Season 5. We'll keep checking Netflix United Kingdom for The Blacklist: Season 5, and this page will be updated with any changes. The Blacklist: Season 5 is not available in United Kingdom BUT it can be unlocked and viewed! After turning himself in, a brilliant fugitive offers to help the FBI bag other baddies, but only if rookie profiler Elizabeth Keen is his partner. Intelligent, charming, completely ruthless. He's turning himself in to the FBI. With a few conditions. Season 1 of The Blacklist has 22 episodes. Because different Netflix countries have different availability for episodes, you'll need to check the episode listing below to see which are available in the United Kingdom. A criminal mastermind surrenders to the FBI with a stunning offer to catch an elusive terrorist -- but he'll only talk to a specific rookie profiler. Liz and Red track an assassin who disguises his kills in large-scale catastrophes. The Department of Justice struggles to understand Red's motives. Liz and Red go undercover to take down an assassin who's been decimating the ranks of the CIA. Tom asks Liz about the man who attacked him. When Liz's key witness disappears, Red suspects a killer who literally stews his victims, making them vanish without a trace. A sinister middleman with a unique ability puts the FBI on the trail of a missing NSA analyst. Eager to clear Tom's name, Liz turns him in to the FBI -- but she soon discovers that he's involved with a corporate terrorist. Following a chemical attack on the subway, Liz and the team hunt down a mad scientist who used to work for the government. Red is enlisted to help Liz and the FBI go after an anti-capitalist cabal that's intent on bringing the U.S. economy to its knees. An assassination attempt on Red brings the FBI under siege. Liz stealthily moves through the building to retake the facility. Liz and a mysterious stranger fight to save Red and Ressler from Anslo Garrick and his Wild Bunch gang. A serial killer from Liz's past strikes again while Red tenaciously hunts for his betrayer. The FBI's latest target, known as the Alchemist, protects the guilty by manipulating the DNA of the innocent. On the eve of Liz's adoption, Red puts her on the trail of an adoption agency for the wealthy that employs truly evil sourcing methods. A femme fatale from Red's past asks for his help in procuring an ancient artifact -- and leads the FBI on a snipe hunt. The FBI pursues a Blacklister who metes out "justice" for those who are wrongly imprisoned. As a Yakuza crime lord escapes prison and intends to get revenge on Ressler, Tom and Jolene face off. While chasing a cyberterrorist who has the ability to take over any system, Liz investigates Jolene's disappearance. While working to uncover Tom's true identity, Liz searches for a claims adjuster who persuades ordinary people to become contract killers. As the FBI searches for a Serbian family of kidnappers, Red uses them in a scheme to out Tom -- which leads to a fateful confrontation with Liz. As the FBI pursues a political fixer known as the Kingmaker, Red seeks Fitch's protection against an unknown enemy who's trying to take him down. After discovering the truth behind her father's death, Liz refuses to work with Red just as his situation grows desperate. In the wake of the Russian plane crash, Liz is forced to reunite with Red to track down Berlin. Season 2 of The Blacklist has 22 episodes. Because different Netflix countries have different availability for episodes, you'll need to check the episode listing below to see which are available in the United Kingdom. A mysterious assassin puts Reddington's ex-wife in danger; Liz deals with the fallout of her showdown with Tom; Cooper returns to the task force. The task force investigates a strange Warsaw bank robbery; Reddington has a plan to save his ex-wife, while Cooper recruits a new member of the team. As the task force focuses on a disgraced surgeon running a black market practice, Reddington finds new opportunities; Liz expresses mistrust. When ordinary people suddenly become killers, Reddington suspects a sinister experiment; Liz goes to Naomi and tries to question her about Red. The task force hunts an eco-terrorist bent on unleashing a deadly virus; Reddington covertly observes Jennifer; Liz visits a secret basement. Liz and Reddington fight wildlife poachers tied to human trafficking. Ressler's addiction begins to cause problems. Liz's hidden secret is revealed. The Task Force focuses on the kidnapping of a nuclear scientist. Intel from Tom helps Liz to arrange a meeting between Berlin and Reddington. Reddington and Berlin form an unlikely alliance in Moscow. Liz tries to keep her secret about Tom, while Tom and Reddington keep their own secrets. 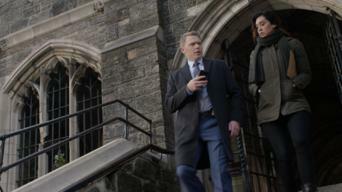 After Reddington is imprisoned in a remote detention center, Liz, Ressler and Samar are sent to extract him. Braxton tells Liz what he knows. Following the prison attack, Cooper sends in a rescue team. Braxton captures Liz and tries to uncover her childhood memories about the fire. Liz, Ressler and Reddington work to take down a criminal mastermind who holds several American hostages. A local murder could create problems for Liz. The investigation of a polygamous cult leader is tied to illegal weapon sales. 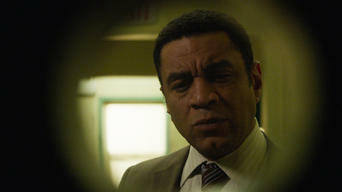 Reddington tries to pinpoint the location of Fitch’s mysterious safe. The Task Force sets its sights on a serial killer who has been hunting down his victims for years. Liz and Red argue over the Fulcrum. Reddington is kidnapped after telling the FBI about a notorious crime family. Before going undercover, Tom realizes he still has feelings for Liz. With Liz now facing murder charges for a crime she didn't commit, Reddington takes matters into his own hands and goes to Germany to search for Tom. Reddington and Ressler are under pressure to find Tom as evidence mounts against Liz. A serious diagnosis will have ramifications for the Task Force. A grim discovery leads Reddington and Liz to a scientist conducting immortality experiments. Tom's feelings for Liz may place them both in danger. A mysterious woman who targets wealthy businessmen is sought by the Task Force. A showdown over the Fulcrum ends with unintended consequences. 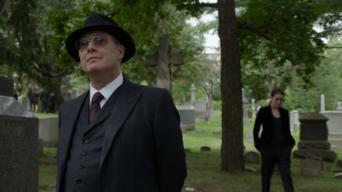 As Liz takes charge to save a badly wounded Reddington, Connolly's political moves begin to take shape. Liz confronts Tom about Reddington. While the Task Force investigates a master criminal who smuggles dead bodies, Liz continues to seek the truth about her past. Tom and Liz grow closer. 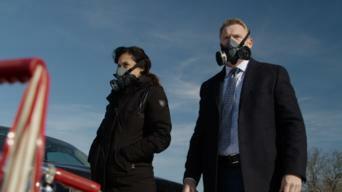 Liz and Ressler go after a Russian assassin targeting a U.S. senator using a new biological weapon. Liz learns some startling news about her mother. Reddington and Cooper help Liz as she faces a phony assassination charge. 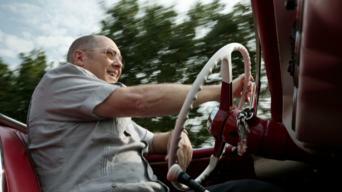 Old secrets are revealed as Liz and Reddington come to a crossroads. Season 3 of The Blacklist has 23 episodes. Because different Netflix countries have different availability for episodes, you'll need to check the episode listing below to see which are available in the United Kingdom. While Liz and Red seek assistance from a blacklister called the Troll Farmer, Ressler interrogates Cooper. Dembe's granddaughter is kidnapped. After being separated, Liz and Red reunite at a diner where Ressler tracks them down, leading to a tense standoff. Cooper is pressured to go on leave. Red and Liz get some leverage on the Cabal through one of its money launderers, an agribusiness exec. The task force discovers a global food crisis. Red tries to find the Djinn, a blacklister who fulfills revenge fantasies and may be able to help track down the Cabal and clear Liz's name. After an attempt on Liz's life, she and Red search for a blacklister who put a bounty on her head. 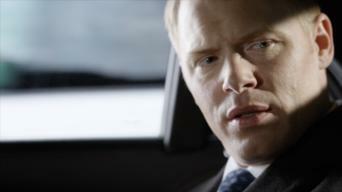 Ressler is ordered to partner with the CIA. Red and Liz encounter a reclusive billionaire who has been kidnapping the world's smartest people in a bid to save humanity from mass extinction. The task force hunts an Iranian terrorist with ties to Samar's past who is responsible for killing Mossad agents and kidnapping Israeli scientists. 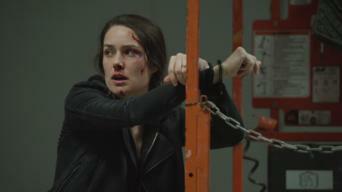 Red is kidnapped by a gang and Liz must take one of the gang members hostage to trade for him. Cooper and Tom shield a critically important asset. Liz is detained until her arraignment date, but powerful forces gather to prevent her from ever reaching a federal courthouse. With the Cabal set to assassinate Liz, Red secretly meets with the task force and triggers an elaborate ruse in an attempt to outfox his enemies. The task force discovers that Red has an imposter while investigating a secret meeting of crime bosses intended to expose him as an FBI informant. When a rare medieval device is used in a murder, Red warns the task force that a lethal vigilante group dating back to Middle Ages has reappeared. 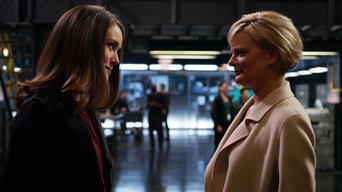 Red and Liz work with the task force to stop a negotiator who has resurfaced to unite two rival crime families. Tom reunites with a former flame. Red and Liz hunt for a woman who appears to be kidnapping children with special needs. Tom's ill-advised plan to help Liz goes devastatingly awry. When the founder of an Internet financial startup is murdered, Red suspects a notorious serial killer whose crimes double as performance art. The murder of a State Department official in Beijing leads Red and Liz to the Caretaker, the shadowy keeper of a safety-deposit vault for criminals. As Liz prepares for an important ceremony, Tom's past comes back to haunt him. Red investigates when Solomon escapes from the U.S. Marshals. 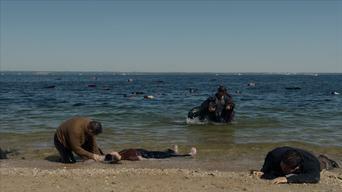 The team must rely on Red's unconventional methods to survive after a tragedy puts one of them in mortal danger. Tom and Liz face unexpected news. Grief-stricken, Red throws himself back into work with a new case: A beautiful woman on the run who needs his help against her mysterious pursuers. While the task force tracks a clandestine group whose agents control a satellite system, Red encounters a figure from his past who knows his secrets. Red is unnerved by the emergence of a powerful and elegant Russian woman from his past who may well be his equal in cunning and resourcefulness. Red and the FBI task force find that they must use illegal means as they close in on the master criminal suspected of orchestrating recent events. Reddington and the task force draw closer to the chief suspect in a tragic death, but unexpected treachery close to home may result in another loss. Season 4 of The Blacklist has 22 episodes. Because different Netflix countries have different availability for episodes, you'll need to check the episode listing below to see which are available in the United Kingdom. While the task force reels at a shocking revelation about Liz's fate, Red sets out on a rescue mission where the stakes couldn't be higher. While Liz tries to gauge Kirk's trustworthiness, Red tries to track down a bounty hunter who may be able to help him anticipate Kirk's future plans. Liz discovers more about her family, while drastic action is taken by Red and the team to find one of Kirk's allies, a financier of crimes for profit. With help from Red and the task force, a desperate Liz pursues an eco-terrorist connected to Kirk, while Tom goes rogue in the hunt for baby Agnes. Liz finds herself torn when Red launches an operation to capture Kirk, while the task force tries to find a killer who's targeting tech innovators. Red and Liz see an opportunity to zero in on their target when Kirk hires a hacker group renowned for infiltrating highly secure computer networks. As Kirk's condition deteriorates, Liz seeks Cooper's advice and Red leads the task force in pursuit of a criminal who forges fake identities. Alexander Kirk escapes from the hospital, leading Red to make him a compelling offer: a cure for his incurable disease in exchange for Liz. The investigation of an international terrorist operating in the United States leads to the shocking revelation that a team member may be a mole. When she's taunted with clues left for her by a serial killer, Elizabeth's best hope for solving the case lies with a 9-year-old girl's premonitions. Liz goes undercover with a female gang to prevent the theft of a different sort of list: one identifying witnesses living under federal protection. The team tries to ascertain the identity of an assassin who kills her targets using a terminal disease, while Red offers Tom a surprising career move. 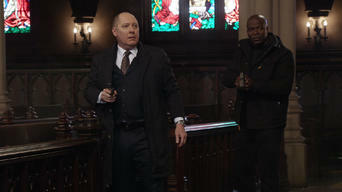 While Tom searches for answers about his past, Red warns Liz about the team's new blacklister, a ruthless "character assassin" attempting to ruin him. Red's quest to identify Isabella Stone's financial backer continues while Aram poses as a hacker to investigate a meticulous criminal mastermind. Dosed with a deadly poison, Red tries to determine which of his associates betrayed him while Liz and the team seek out the toxin's designer. Aram's disappearance gives Red and the Task Force their first clue to the whereabouts of Dembe, forcing the former body man to take a calculated risk. Red's memories of the past place him in harm's way as his most dangerous foe embarks on a devious final plan to settle scores and destroy his empire. A bounty hunter is hired to specifically target Red's closest associates. A new assignment with an ex-colleague creates a moral dilemma for Ressler. Red and the team search for a Blacklister skilled at retrieving and manipulating memories, who is causing Liz to question her past experiences. When Liz is kidnapped by a Blacklister called the Debt Collector, Red forges an uneasy alliance in order to safely retrieve her. Red closes in on Mr. Kaplan with assistance from his confederates, while the Task Force is investigated by the government for its alliance with him. Red enlists a notorious fixer to sabotage the case against the Task Force, while Cooper and Mr. Kaplan seek the truth about Red's relationship to Liz. Season 5 of The Blacklist has 22 episodes. Because different Netflix countries have different availability for episodes, you'll need to check the episode listing below to see which are available in the United Kingdom. Carefree despite the loss of his empire, Red forges a new working relationship with Liz to deliver funds and a new blacklister to the task force. Liz, Red and the task force pursue a billionaire who doubles as a valuable art thief. Tom tries to identify mysterious remains. Dembe follows a lead. The task force investigates a series of mysterious police shootings. 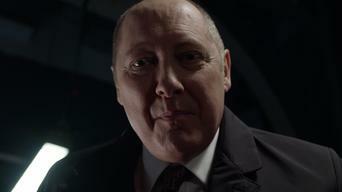 To reestablish his tarnished criminal reputation, Red turns to Tom for help. While Liz and the task force hunt an elusive criminal destroying the world's precious treasures, a cash-poor Red considers a new business opportunity. While Red prepares a new business venture with Hawkins, his intel about a terrorist puts the task force on a collision course with a rival CIA unit. Red assists Cooper on a personal case. Ressler leads the task force in preventing the resurgence of a murder-for-hire ring. Tom ignores a warning. 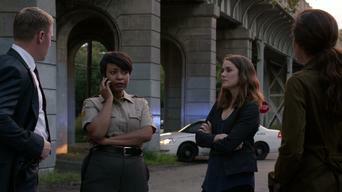 Dembe goes undercover inside a human trafficking organization but the task force loses contact with him. Tom's investigation puts his life in danger. Tom goes missing and Liz frantically retraces his movements. Red's search for the mysterious suitcase full of bones sets him on a fateful course. Despite her thirst for revenge, Liz tries to rebuild her life away from everything she's known before, but an unforeseen threat soon appears. Liz plans her future while a blacklister who uses his position to sell secrets is pursued by the task force in a hunt that could expose Ressler. Red draws the attention of a ruthless financier who's on a lifelong quest to reclaim a fortune. Liz studies the methods of a dangerous blacklister. Liz begins to question Red's motives as they search for Tom's killers. The task force uses the skills of one arsonist to capture another. Corpses discovered in the forest lead Red to suspect the Invisible Hand, a secret and lethal order. Liz uncovers a clue about Tom's investigation. Red and the task force pursue a blacklister who provides alibis for murderers while Liz is interviewed by a therapist before rejoining the FBI. 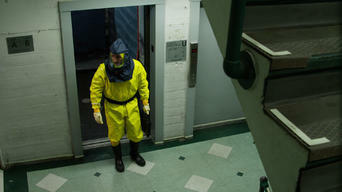 Aram goes into the field while investigating a viral outbreak. Liz takes a fresh tack in finding Tom's killers. Red must deal with a tax issue. New information surfaces about a case that Liz investigated early in her career as a profiler for the FBI. The task force goes after Tom's killers. Red sends Liz and the task force to retrieve crucial evidence against Ian Garvey after a Nash Syndicate associate is murdered. As part of their pursuit of Ian Garvey, Red and the task force seek out a heroin supplier in Paris, but Liz takes her own path in pursuit of Garvey. Red launches an effort to retrieve the mysterious duffel bag full of bones, while Liz receives information about him from a surprising source. As they get closer to learning Red's secret, Liz and the task force uncover a connection to a young girl whose family has its own hidden agenda. Red goes to Costa Rica, where the bag of bones is set to be auctioned off, while Aram and the task force race to rescue Samar from a blacklister. Liz and Red race each other in a final effort to secure the bag of bones from a blacklister and discover the identity of the remains inside. Season 6 of The Blacklist has 16 episodes. Because different Netflix countries have different availability for episodes, you'll need to check the episode listing below to see which are available in the United Kingdom. Liz and Jennifer investigate the death of the real Raymond Reddington while Red and the task force seek a plastic surgeon who works with criminals. 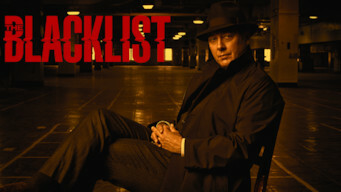 Liz aids the task force in stopping an attack by one of the Blacklist's most elusive members while Red has an encounter that changes his life forever. Cooper faces a test of his integrity while Red tries to get out of a difficult situation and Liz tracks a notorious biohacker with the task force. Liz and Jennifer continue investigating Red's past while Red encounters an old rival and Samar goes undercover in the black market. Red fights to have his immunity agreement recognized in court while Liz and the task force investigate an heir whose inheritance is suspicious. Red is transferred to a medical facility for psychiatric evaluation while Liz and Jennifer seek a blacklister with more information about Red. Red busily attempts to stack the jury for his upcoming trial with help from Dembe and Glenn while the task force pursues a case of weaponized insects. Seeking a woman who may know a secret about Red's past, Liz and Jennifer end up targeted by a smuggler, while Red mediates between rival prison gangs. Liz and the task force investigate a blacklister known for selling dark secrets, while Red tries to clear his name of treason charges in court. To stop an imminent attack, the task force investigates the unregulated world of internet cryptocurrency. Red takes a risk in a bid for freedom. Attempting to save Red with only hours left until his execution, Liz and the task force look for the truth about an international assassination. Cooper risks appealing directly to the White House on Red's behalf. Liz and the team pursue the Corsican, a blacklister with ties to a conspiracy. Red and the task force track down a notorious fugitive whose career as a con man has made him a legend, while Samar faces a life-altering choice. Red directs Liz to investigate a secret organization of assassins working for several state intelligence agencies to eliminate former agents. The task force's next target is a blacklister specializing in hostile takeovers of crime organizations, who may have knowledge of a vast conspiracy. 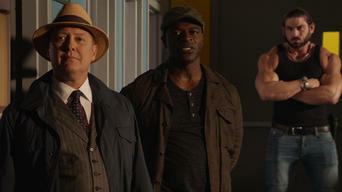 Dembe worries about Red's zeal for identifying the traitor who turned him in. 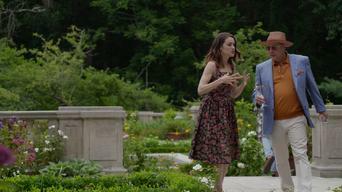 Liz and Ressler seek a blacklister who erases gambling debt.